Mortgage base rates in the Eurozone dropped to another record low in October 2017, whilst the latest data shows new mortgage lending rising for another month in August. 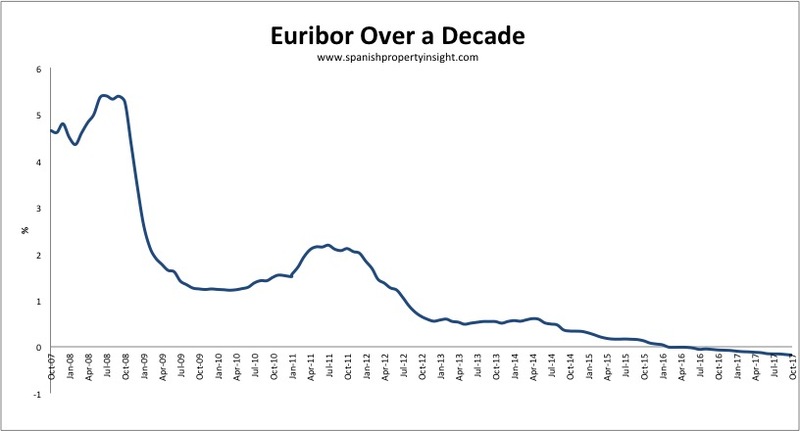 As a result, borrowers in Spain with annually resetting Spanish mortgages will see their mortgage payments fall by around €6 per month for a typical €120,000 loan with a 20 year term. The following chart illustrates how interest rates are currently a long way from normal. The latest figures for new residential mortgage lending from the National Institute of Statistics show lending up 29% in August.